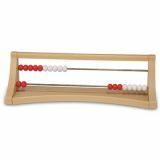 Everything you need for a wide variety of activities featuring ten-frames! Grades K–2. 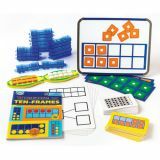 Includes: Unifix Ten-Frame Cards (2 sets), Unifix Ten Frames Trains (50 trains), Unifix Magnetic Ten-Frames, Write-On/Wipe-Off Ten-Frame Mats (20), 1–50 Ten Frame Cards (2 sets), Corn on the Cob Ten Frame (10 cobs), Working with Ten-Frames 160-page book & CD. Build a giant demo clock on your whiteboard so the whole class can see! 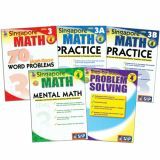 Develop a nimble mind by computing basic multiplication facts or by breaking products down into factors and possibly prime factors. In Product Capture, players claim the product of two factors they spin. In Factor Pursuit, players compute the product of two spinners and mark any set of factors for this product on their scorecards. Be the first to fill your scorecard and win! 2 players or teams. 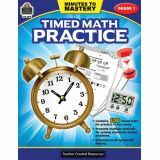 A great alternative to flash cards, Math-Fact-Oh! 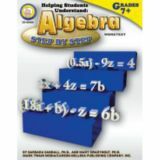 builds and reinforces basic math skills while improving memory and concentration! For every solution card there are three corresponding equation cards that compose a triangle called a “Math-Fact-Oh!”. 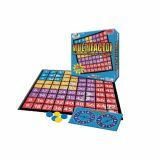 Players compete to be the first to create the Math-Fact-Oh! sets by locating the problem cards that match their solution cards. 2–5 players. Invented in China, the tangram is a 7-piece square puzzle that has challenged learners of all ages for over one thousand years. Now the whole class can practice problem solving! 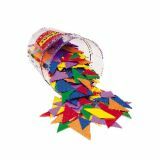 Complete with sturdy bucket container and Teaching Notes, this set of 30 tangrams comes in four assorted colors. 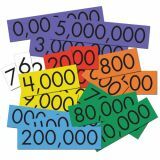 These color-coded cards provide students with a visual representation of place value and help them develop number sense. Color-coding matches Sensational Math™ Place Value Discs. Cards are 4"H and range in length from 2 1⁄2" to 17 1⁄2" depending on place value. Includes 10 each ones, tens, hundreds, thousands, ten thousands, hundred thousands, millions. Set of 70. 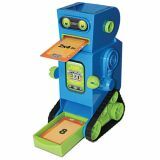 Flashbot® (the flash card robot) is a fun, new flash card flipper that helps children learn key reading and mathematical facts. Feed the flash card into the Flashbot's mouth and see the answer magically appear below. Comes with 20 demonstration flash cards. Other sets sold separately. Does not require batteries, is not electronic device.